It used to be that divorce was a sad occasion. But, depending on how much you hate your ex, it might be the most joyous part of your year. 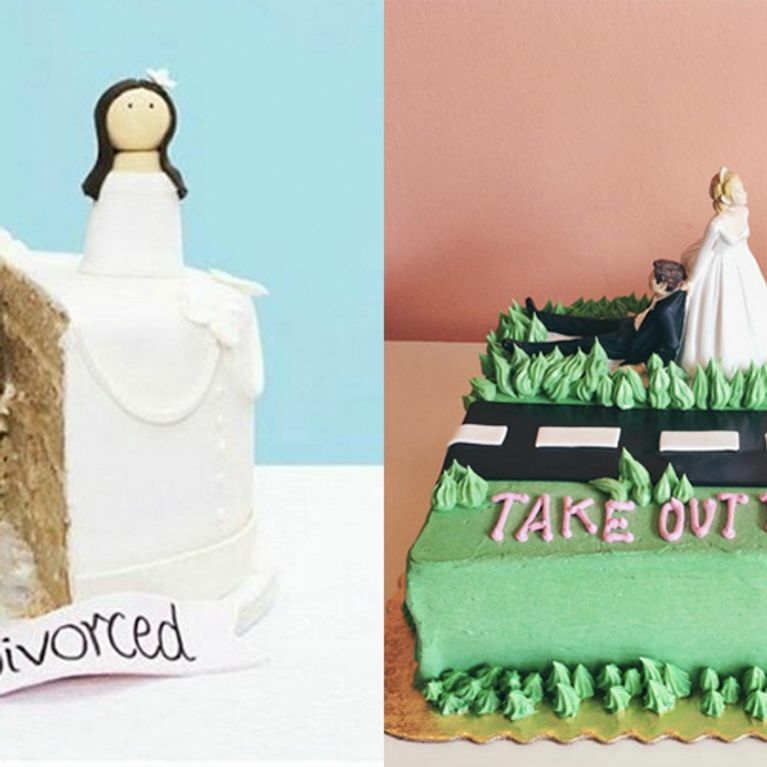 We've seen divorce parties, divorce selfies and now there are divorce cakes. And, judging by the pictures, the more gruesome the better. Who said divorce has to be a sombre affair? Who says it can't be an happy occasion fit for the photo album? Divorce is changing guys. It's no longer something that's shameful, it's something to celebrate. And what's not to celebrate? You can finally be happy again! That means there should be balloons, party poppers, a photo booth, a stripper (obviously) and cake. I mean, these people have probably been through the mill to secure this divorce. Let them eat cake! It's like graduations and birthdays - it's a milestone in life that needs a huge party. And who's to say you have to eat your cake alone? If divorce selfies have taught us anything, it's that just because newly unwed couples are happier apart, it doesn't mean they hate each other. So get them in on this new trend: divorce cakes. The divorce cake has a simple premise: celebrate your marital breakdown with a hefty slice of the sweet 'n' fluffy stuff. Whether it's a simple celebratory message or a slightly more elaborate, sinister affair featuring a royal icing groom and a shallow cake grave, these guys have gone all out to let the world know that they're finally free from the ol' ball and chain. Don't worry be happy - it's divorce day! Vows are made to be broken, right? Is It Just Me, Or Is Beer Overrated?